Although more than three dozen insurers claimed the federal government owed them more than $12 billion in risk-corridor payments, a panel of judges from the U.S. Court of Appeals for the Federal Circuit determined the payments weren't necessary since Congress deemed the program had to be budget-neutral through appropriations riders. The judges also rejected the insurers' argument that the federal government breached an implied contract by not making the risk-corridor payments in full according to the formula originally laid out in the ACA. They concluded that the government does not owe health insurers additional risk-corridor payments beyond the share it has already paid. The 2-to-1 decision applies to Moda Health and Land of Lincoln Health, the subjects of two conflicting lower court decisions on the issue. The risk-corridor program was established under the ACA as a safety net that would curb losses and profits in the first three years of the health insurance exchanges. It was designed to discourage insurers from raising premiums because of uncertainty over who would enroll in their plans. Under a funding formula set out in the healthcare law, plans with greater than expected medical claims could recoup some of those losses, while insurers with lower than expected costs would pay into the program, which expired at the end of 2016. Republican lawmakers have called the program a "bailout" for the insurance industry. A similar program exists in Medicare Part D, which was created by Republican President George W. Bush. In 2014, Congress passed a provision in the 2015 federal budget requiring risk corridors to be revenue-neutral. 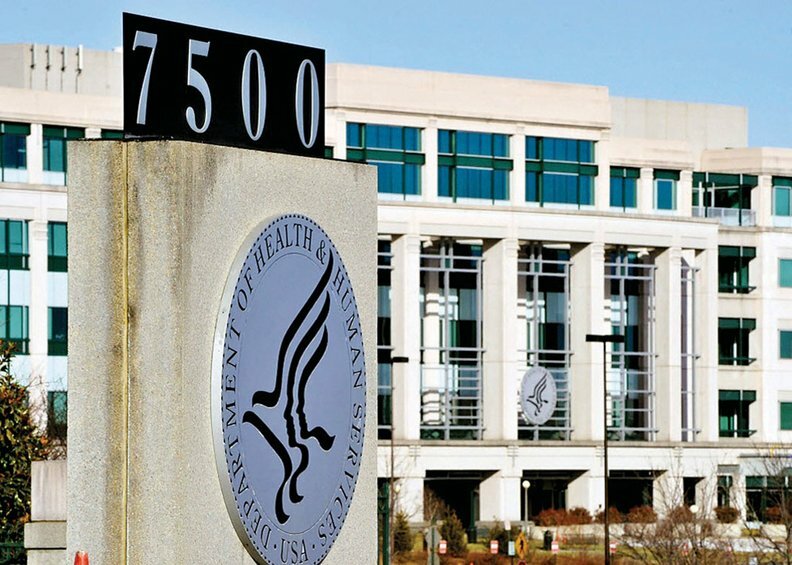 That meant that the CMS could only pay out what it takes in from health plans, and it led to a massive shortfall in the risk-corridor program that now stands at $12.3 billion to cover losses health plans incurred on the exchanges between 2014 and 2016, the latest CMS data show. Health insurers sued to recover the funds they believed they were owed under the risk-corridor program. Portland, Ore.-based Moda Health sued to recover $214 million in July 2016, arguing that the government has a statutory obligation to pay the risk-corridor funds owed under the program. It also claimed that the government is bound by a contractual agreement to pay up. A judge in the U.S. Court of Federal Claims ruled in Moda's favor. The federal government appealed the decision, which split with another ruling in the same court to dismiss a similar case brought by bankrupt Illinois co-op Land of Lincoln Health; Land of Lincoln had sued to recoup $72.8 million in payments. The federal government has maintained that it is not obligated to make full risk-corridor payments because Congress redefined the intent of the ACA program by limiting what funds could go toward the payments through appropriations riders that made the program budget-neutral. The majority opinion for the U.S. Court of Appeals for the Federal Circuit, written by Chief Judge Sharon Prost, agreed with Moda that a provision of the ACA does require "the government to pay the full amount of risk corridors payments according to the formula it set forth," even calling Section 1342 of the ACA "unambiguously mandatory." But it said that obligation went away when Congress attached riders to appropriations bills in 2015 and 2016 that barred the federal government from making full risk-corridor payments and limited the funds to carrier user fees. Repealing or suspending a statute requires clearly stated intent to do so. Judge Prost's opinion stated that Congress adequately expressed its intent to limit the funds paid out through the risk-corridor program to payments collected, even if the end result is at odds with the original purpose of the risk-corridor program. The court also addressed Moda's assertion in February 2018 that HHS' recent budget request for more than $11.5 billion to fund the risk-corridor program undermined the Trump and Obama administrations' argument that the government isn't obligated to pay them. HHS quickly revised its budget after Moda and Lincoln Health called out the request. The judge wrote that the budget request was irrelevant, and what mattered was Congress' intent when passing appropriations riders for 2015 through 2017. Moda argued in another claim that the federal government breached an implied contract with the health insurer that promised full payments under the risk-corridor program in exchange for participating in the exchanges. The court rejected that claim, holding that "no statement by the government evinced an intention to form a contract." In a dissenting opinion, U.S. Circuit Judge Pauline Newman argued that Congress' appropriations riders were not sufficient to erase the government's obligation to pay up in full. She pointed to Congress' failure to enact a 2014 Senate bill to change the risk-corridor program to be budget-neutral as one example that Congress did not intend to cap payments out to payments in. Judge Newman also said that Congress' appropriations riders couldn't retroactively eliminate the payment obligations the government already incurred. She disagreed with the majority's opinion that there is no implied contract between health insurers and the federal government. "The government's ability to benefit from participation of private enterprise depends on the government's reputation as a fair partner," Newman wrote. "By holding that the government can avoid its obligations after they have been incurred, by declining to appropriate funds to pay the bill and by dismissing the availability of judicial recourse, this court undermines the reliability of dealings with the government."